We’d love your help. Let us know what’s wrong with this preview of Self Coaching 101 by Brooke Castillo. To ask other readers questions about Self Coaching 101, please sign up. How do I download the ebook for free as per Brookes facebook video? Brooke Castillo is a brilliant coach. If you are a person who has lived through traumatic experiences and can't seem to get over them, this is the book for you. Much like Tony Robbins, she is using techniques of mind management. Teaching people to be in the driver seat of their own life, and not allowing external circumstances to influence how they feel about their life. If a person is willing to do the work, it's deep work, and not the easiest. Emotions and a little bit of frustration comes out Brooke Castillo is a brilliant coach. If you are a person who has lived through traumatic experiences and can't seem to get over them, this is the book for you. Much like Tony Robbins, she is using techniques of mind management. Teaching people to be in the driver seat of their own life, and not allowing external circumstances to influence how they feel about their life. If a person is willing to do the work, it's deep work, and not the easiest. Emotions and a little bit of frustration comes out of it, because getting past your own thoughts is the hardest thing to do. Once I'm finished with Tony Robbins Awaken the Giant (recommended by Brooke), I plan to read this book again and really get to work. I listen to Brooke (the author) regularly on her podcasts which have had a huge impact on my life. I now have read her book. She teaches the model. She teaches how to have an intention I listen to Brooke (the author) regularly on her podcasts which have had a huge impact on my life. I now have read her book. She teaches the model. I loved this book and Brooke's self coaching model so much that I am taking an extra life coaching program at her school. She's an incredible master life coach and this model is so effective for anyone looking to self-coach themselves or become a coach. I highly recommend this book for anyone looking for growth and improvement. Brooke has a very straightforward, honest approach in her model and it is easy to learn and apply. Check it out, worth the read and likely re-reads. Her self-coaching model is life changing!!! I absolutely love her podcasts and listen to her daily. She radiates positivity! You'll want to check her out! Brooke Castillo introduces a powerful and straightforward model which readers can use to put all circumstances and thinking and emotions into a framework to make changes. I recommend this book to those who are ready and willing to observe their behavior and emotions - and are interested in making changes in their life. The changes can be small or large - the model introduced in the book can address all sizes. Brooke provides and excellent model which you can apply in every part of your life and different situations. All the inputs of the model are detailed and exemplified so you the reader can create your own understanding of the model. You clearly must be open to change to applied this model, if you are in a negative area of your life, you can easily question everything that it is shown in this book, and that it cannot be applied. A helpful, easy-to-understand book, which taught me a lot, although some parts didn't relate to me as much. The method seems to make a lot of sense. This is going to take a lot of practice, but I like the concept. We really have no full understanding of the capability of the mind. A very quick to read book with a simple idea. Change what you think if you want to change the results. The book is good in that it tells you straight that this is not always easy to do. This quick read is a gem. Read this on the advice of a coach I’m working with. Good insights on creating positivity in you life starting with your thoughts. 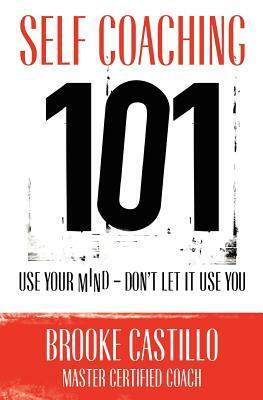 This book is a great tool to keep your mind in check. Started, never finished. Abandoned because I wasn't getting much out of it, repetitive to things I've already read and worked with.